14 September 2007 (Jakarta Post) – Two stories featuring the museums in Jakarta, both concerned with how to make museums more relevant for a future, different public. Creative commons picture by superciliousness. A new funding scheme is needed to enable city-run museums to expand their preservation and promotional activities and to encourage more visitors to enjoy Indonesia’s cultural and heritage collections, an official said. “There should be continuing funding and a management board for museum conservation, like in other countries,” head of the Jakarta History Museum MR Manik told The Jakarta Post. Currently, all nine museums and two historical sites — the National Monument (Monas) and the Proclamation Park — are managed by the city’s administration and funded via the city budget. The Jakarta culture and museum agency received Rp 122 billion (US$12.97 million) from the 2007 city budget, of which only Rp 80 billion is used for fostering its exhibitions. The rest goes toward office related expenses. And while the museums charge visitors an entrance fee, this money goes straight back to the city’s coffers. “All of the income that we receive from charging visitor entrance fees must be transferred to the city administration account,” Manik said. 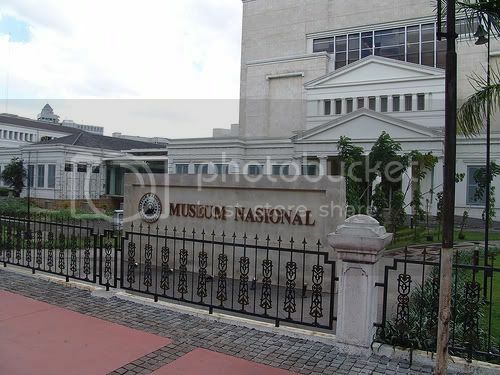 The Jakarta History Museum, better known as the Fatahillah Museum, is the largest contributor to the city’s bank accounts — and it receives the largest share of the budget. In 2005, the museum contributed more than Rp 67 million from entrance fees. Last year, the Fatahillah museum contributed Rp 80 million, of a total Rp 173 million from nine museums. The museum charges Rp 2,000 for adults, Rp 1,000 for university students and Rp 600 for children. Fatahillah was visited by 69,708 visitors last year, while 63,053 visitors came the previous year and 45,303 in 2004. Some 8,000 visitors see the museum every month and during this year’s July school holidays, visitor numbers peaked at 9,898 visitors. The museum is closed on Monday and holidays, but is open an average of 25 days every month. This year, Fatahillah received annuals funds worth Rp 1.9 billion — 30 percent for its exhibitions and the rest for routine expenses. But Manik said there was no museum — state-own or private — that could survive on the government’s budget alone. “So we need our own managed budget to invest … something like a perpetual fund,” he said. The good news is more and more people today visit museums in Jakarta. But unfortunately museum curators and visitors alike are not always privy to the information or surroundings they need to truly appreciate all there is to learn from the country’s cultural heritage. Museum caretakers, according to MR Manik, head of the Jakarta History Museum, are responsible for the continued flow of visitors into museums, to help others learn and grow from their experiences. “But most museum caretakers here don’t have a clue about what the visitors want,” Manik said. “People now are more accustomed to the attractive displays inside shopping malls. “We can not simply blame the public’s lack of appreciation — it is correlated with their education and economy levels. Manik said most museum caretakers did not know how to look after visitors wanting to see attractive displays, to speak with an hospitable guide or to find clean restrooms. Manik, a civil servant at the City Culture and Museum Agency for 33 years, was recently assigned to head the Fatahillah Museum. At first, he said he was not able to grasp the history of Jakarta by observing the collections on display — even after several viewings. “The exhibition was not displayed in order, or thematically,” he told The Jakarta Post last week. So Manik said he insisted on a range of changes, which at first met objections from his staff. Fatahillah Museum is the city’s largest and receives the most visitors, but Manik is determined it can be better. “Appreciation of the museum has been improving in the last five years .. but it is not enough,” he said. Indra Riawan, head of the Fine Arts and Ceramics Museum near the Fatahillah Museum said it was a sad fact so many Indonesians living abroad would experience museums overseas, but would not think to visit one in Jakarta or their home town. Indra said many civil servants did not know which museums were run by the city administration — let alone a museum’s address. “We need to sort out this internal matter first,” she said. “That’s why I always suggest having meetings at different venues, moving from one museum to another. The Jakarta administration currently manages 11 historical sites: the National Monument; Proclamation Park; Jakarta History Museum; Prasasti (ancient inscription) Museum; Wayang (shadow puppet) Museum; Fine Arts and Ceramics Museum; Maritime Museum; Joang 45 Museum; MH Thamrin Museum; Textile Museum and the Onrust Archeology Park in the Thousand Islands. The Jakarta History Museum, the Wayang Museum, the Fine Arts and Ceramics Museum, as well as the Maritime Museum are located around the city’s Old Town area — or Kota — in West Jakarta. Ade Purnama, who established a program that encourages the community to visit heritage sites, Sahabat Museum (museum friends) in 2002, said the public’s apathy toward museums was understandable. He said people’s attitudes were more than likely grown from childhood and negative experiences during compulsory school visits to museums. “I never like how we as students were forced to learn history with that kind of program. “Although I like history, but back in the school days, my mark in history was not good,” he said. “The museum-visit program was boring. But the majority of visitors to Jakarta’s museums are in fact still students. Last year, some 70 percent of the 17,000 visitors to the Fine Arts and Ceramics Museum and of 9,878 visitors to the Maritime Museum were students. Ade said museum caretakers also had to start promoting the history of the museum’s building, as well as the history of social-political life surrounding its location. “We dig into the history of places along each of our Sahabat Museum excursions,” Ade said. “To keep it attractive, I try not to repeat the same route or the same way of storytelling in each trip,” he said. In the last five years, the community has held 50 visits around various historical sites in Jakarta, as well as around the archipelago. Ade said he has seen a significant increase to participant numbers for each new trip.